Have you heard about the Pledge of Allegiance to the Bible? Did you know that there is one? 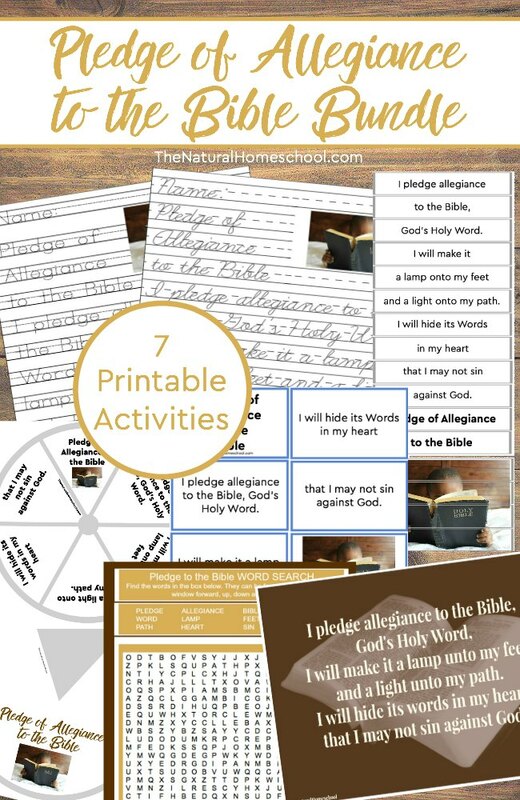 We incorporate it into our homeschool daily with this printable bundle because we want to give God’s Word the honor it deserves. 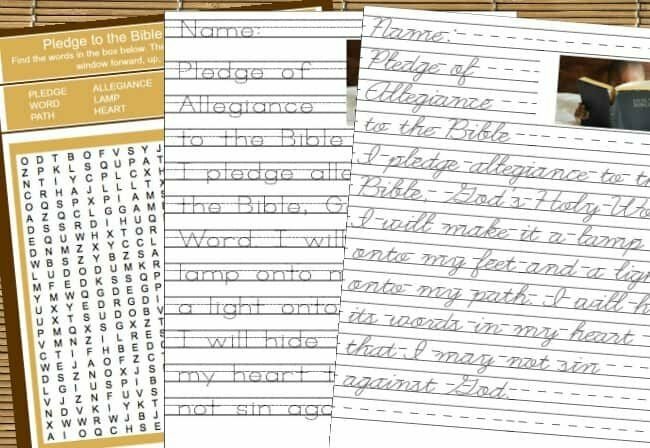 In this post, we share a study unit about the Bible pledge with hands-on activities for kids to learn it by heart and have a chance to practice it regularly. There is so much more to knowing and learning the Bible pledge of allegiance words. It is important to know them and live them! To instill this wonderful trait into your children, you can get the unit below.